If you really want to see a piece of heaven right here on Earth, then you must visit Boracay Philippines. 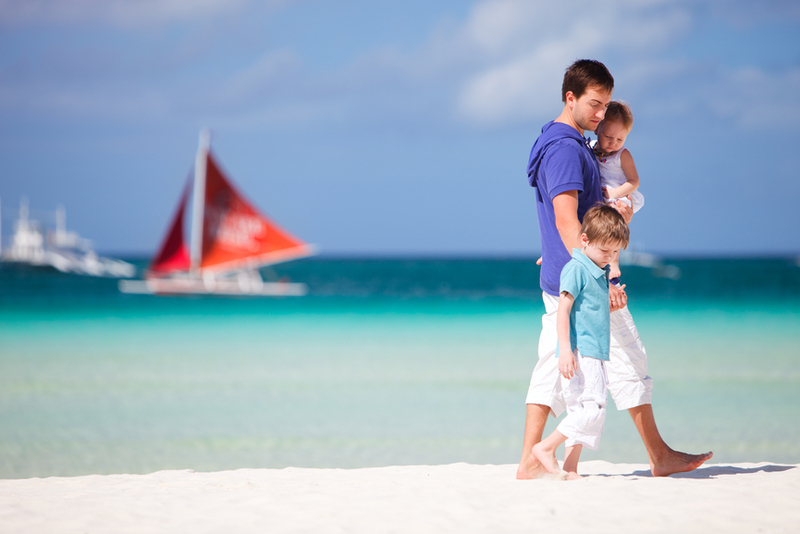 Boracay is a tiny island renowned for its breathtaking white sand beaches dotted by beautiful palms. It’s a perfect destination for a honeymoon or for someone who just wants to get away from it all and find tranquility. The most popular beach on the island is White Beach, famous for the numerous resorts and other accommodations, but also its great restaurants that allow you to eat and take in the never ending beauty that surrounds you. On the island of Boracay, at Bulabog Beach, you’ll find rental equipment for kiteboarding and windsurfing–with perfect breezes for these exciting water activities. There are numerous other activities nearby, including scuba diving, which will be an unforgettable experience in these waters for anyone, as would be snorkeling. For the more courageous and adventurous types, try cliff diving, which is an absolute thrill. If you’re the type that wants to relax, unwind, and revitalize yourself, then definitely find a permanent spot on one of the many impressive beaches on the island, sipping on your favorite drink. Whatever you do, make sure you catch the purple sunset at White Beach. For the avid golfer, you could practice perfecting your swing playing golf on the 18-hole, professionally designed golf course. There are lots more exciting events available to make your trip that much more fulfilled, including the Asian Windsurfing Tour that’s held every January. 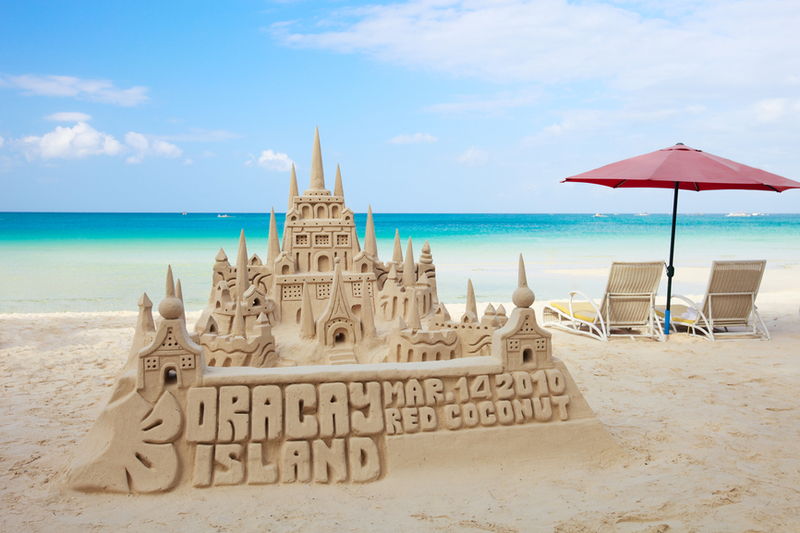 Every April or May, there are the Dragon Boat Races right on the island, as is the Boracay Open Asian Beach Ultimate Tournament. A visit to the island’s Butterfly Garden is a must-see, but don’t forget your camera, as you’ll find some of the most beautiful butterflies there. Also, go for a hike up Mount Luho to catch a glimpse of the eagles and experience a breathtaking panoramic view of the island. Boat tours are another way to see the island and its glorious beaches, during the day or at sunset. With a small effort, and some negotiating skills, you can enjoy this, and other activities inexpensively, to make the most of your trip. The nightlife is an added bonus, as the island comes to life when the sun sets, and often, until dawn. Be sure to take advantage of the Boracay packages with airfare included to vacation like a celebrity, but without paying excessive rates. Discount flights to Boracay are available year round for any travelers who want to beat the crowds and explore secluded coves, or to enjoy relaxing massages at some of the finest hotels and resorts. Regarding weather, the best time for visiting the island is between October and June, where temperatures are most comfortable, and where rainfall is almost non-existent. These months are considered peak season, meaning rates will likely be higher. The other months of the year could bring on tropical storms that may interfere with your vacation, but you can enjoy all its beauty at much more affordable rates.